Windows has been exploited thanks to a group of hackers finding a vulnerability. 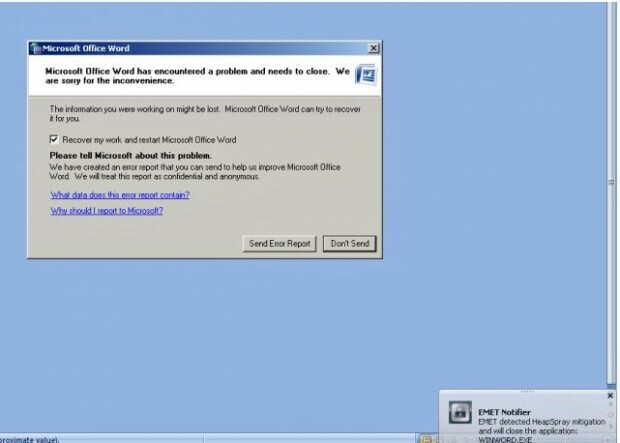 Finally, Microsoft has developed a way to plug the hole, so to speak, and keep hackers from installing malware on computers running the affected version of Windows and Office. The vulnerability, which we covered already , is related to how some Microsoft products and versions of Windows read TIFF image files. Microsoft hasn’t come up with a permanent fix, yet, but they have found a temporary solution. The fix  can be downloaded to your computer and it keeps the graphic from being rendered. The graphic is what triggers the malware. Other options available is a registry change that prevents TIFFs from being displayed and the Enhanced Mitigation Experience Toolkit  to block the potentially dangerous download. Microsoft has issued several advisories warning their users about this vulnerability. They are currently working on a permanent fix and will issue it as soon as it is available.